Deacon White died on July 7, 1939, just after being snubbed for inclusion in the Hall of Fame—a move that The Sporting News, among others, had campaigned for. “The gentle tapping of a cane on the stairs became more distinct. “In the living room doorway, presently, appeared a bent, aging figure—James ‘Deacon’ White, 92 years old [sic], and the oldest living player of baseball, which this year is celebrating its centennial. The ‘Deacon’ seemed to have been entirely overlooked in the hullabaloo. “’I knew Goldsmith as an infielder and later as a pitcher,’ recalled the old-timer, ‘and if he threw curves before Cummings, he must have kept it a secret. But in my day, all the young pitchers were learning to throw curves two years before the rules permitted them.”’ (and presumably before Goldsmith demonstrated the pitch to Henry Chadwick in 1870). White, who said he hadn’t attended a major league game “in several years,” was scheduled to attend a “a celebration in his honor and in honor of other old time stars,” in Aurora, Illinois. But died just two days before the event. “(White) always practiced clean, simple living. “To the present crop of young players, he gave this advice. “Spalding’s Official Base Ball Guide,” 1908 advertisement. “The origin of base ball settled” with the guide’s “exclusive” publication of the Mills Commission report. Mordecai Brown—“Never more confident of victory in my life. I almost made a hit in my three times at bat. The paper’s complaint was that the notice from the police lacked “any description…of the character of ball playing indulged in,” which left a mistaken impression. “We beg to state, for the benefit of ignorant outsiders, that any base ball club belonging to the National Association is yet to be disgraced by the stigma of playing base ball on the Sabbath. Not a club in the community can be charged with such a things and this fact should be understood. 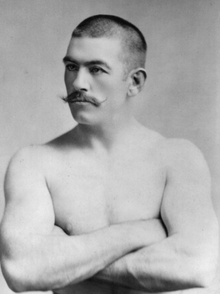 Heavyweight Champion John L. Sullivan, arrived in Cleveland, Ohio on Friday, September 11, 1885. The Cleveland Press said he would be pitching on Sunday for a local semi-pro club, the Forest Cities—the Western League team of the same name had folded in June–in an exhibition game against a team from Sandusky. The scheduling of a game on Sunday had raised the ire of the local “Law and Order League,” who the paper said “were up in arms,’ and attempted to get the game canceled. Despite the protests, the game, at Cleveland’s Brooklyn Park, went ahead as scheduled. Sullivan was paid $900 for his appearance and pitched well—he gave up just five hits in nine innings, a fifth inning error allowed Sandusky to score two runs, and Sullivan and the Forest Cities lost 2 to 0. The move was roundly criticized as simply a publicity stunt, given that the Law and Order League failed to swear out warrants against the other seventeen players or the game’s organizers. 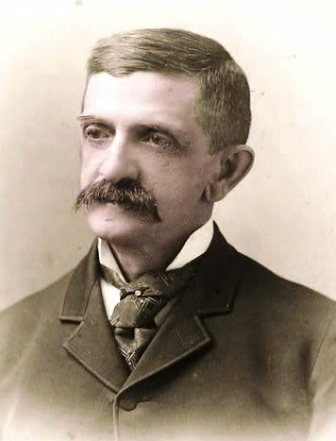 During the spring of 1894 a man named William W. Clark met with Chicago Mayor John Patrick Hopkins. Clark presented the mayor with a resolution requesting a ban on Sunday games in Chicago. “He was accorded a courteous hearing, in the course of which the clerical gentleman expatiated upon the enormity of ‘catching men out,’ of making ‘home runs’ on Sunday. Such practices he said were wrong and highly immoral. Mayor Hopkins listened in mild surprise. When the gentleman got through His Honor announced that he used to play ball on Sunday’s himself, and sometimes attended a game even yet, and saw nothing immoral about it. The International Sunday Observance League abandoned their effort to make Sunday baseball illegal in Chicago. 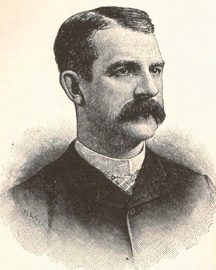 Samuel Newhall “Sam” Crane, like Tim Murnane, turned to sports writing after his career on the field ended. His involvement in a scandal might have contributed to his departure from the diamond—but contrary to oft-repeated stories it was not the direct result. 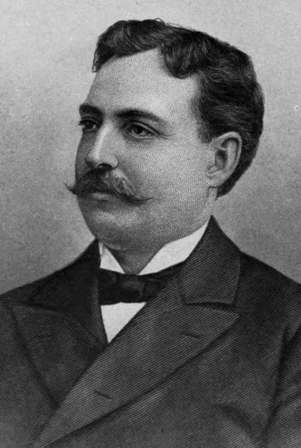 Crane was named as a respondent in a Scranton, Pennsylvania divorce in 1889—a prominent Scranton businessman named Edwin Fraunfelter (some contemporary newspapers incorrectly said “Travenfelter”) charged that Crane had stolen his wife, and $1500. Crane had played for the Scranton Miners in 1887 and ’88 and departed the city with Fraunfelter’s wife Hattie in 1889, relocating to New York. Crane and Hattie Fraunfelter were returned to Scranton to face trial for the theft. Despite the scandal the New York Giants (twice) and the Pittsburgh Alleghenys were happy to sign Crane in 1890. The end of his career was more of a result of the 36-year-old’s .179 batting average and diminishing fielding skills—twelve errors in 103 total chances at second base–and, of course, he probably wouldn’t have found himself in Scranton in 1887 and ’88 had his career not already been on a downward trajectory. Crane immediately went to work for The New York Press upon his retirement and remained one of the most respected sports writers in the country. He edited the “Reach Guide” from 1902 until his death in 1926. “Baseball is also flourishing in South Africa. The Transvaal Leader, a progressive newspaper, has taken up the sport and publishes full scores of the games and the records of the players. “There is a South African baseball association and the players of the different teams can hit the ball, even if they have not yet attained the accuracy and agility in fielding their American cousins have reached. According to The Leader, out of thirty-seven batsmen who figure in the official record from July 1 to October 8, twenty-three of them batted over .300…A batter named Suter of the Wanderers was the Lajoie of the league, and he made our own ‘Larruping Larry’s’ record of .381 look like a bush league mark. Suter’s batting percentage was .535. “Britons, wherever found, look upon the great American game as a direct infringement on the sporting rights as established by cricket. “Englishmen are extremely conservative about their sports, especially of cricket, which is considered their national game, and in their own stanch little island they have always pooh-poohed baseball. But when the Briton gets away from home influences he becomes an ardent admirer of the American game and is loud in his praise of the sharp fielding it develops. 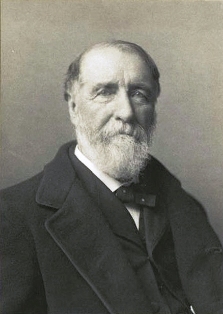 “In Canada, South Africa and Australia, where there is more hustling, and time is more valuable than in the staid old mother country, the quick action, liveliness and all around hustling of baseball that give a result in a couple of hours, is fast becoming more popular with the colonials than cricket, that requires as many days to arrive at a decision. He was likely referring to 20-year-old Charles En Sue Pung, a teammate of Barney Joy’s on the Honolulu Athletic Club team who was also one of Hawaii’s best track athletes. 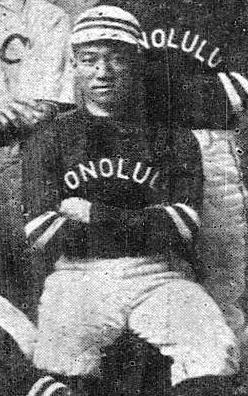 Pung was rumored to be joining Joy when the pitcher signed with the San Francisco Seals in the Pacific Coast League in 1907, and in 1908 there were brief rumors in the press that Chicago Cubs Manager Frank Chance wanted to sign the Chinese third baseman—neither materialized, and he remained in Hawaii. After defeating the Boston Beaneaters and “Old Hoss” Radbourn in his major league debut, George Borchers returned to the mound five days later in Chicago and beat the Philadelphia Quakers and William “Kid” Gleason 7 to 4. After his fast start, Borchers was just 4-4 in 10 starts when Chicago released him and Chicago’s other 19-year-old “phenom” Willard “Grasshopper” Mains (1-1 in 2 games) on September 6. After the Cincinnati deal failed to materialize, Borchers accepted $100 in advance money to join the Stockton franchise in the California League. After receiving the money he never showed up in Stockton. 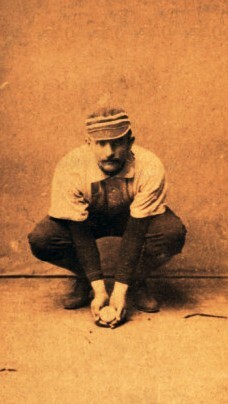 Borchers didn’t appear ready to “reform.” Between the 1888 and ’89 season, according to The San Francisco Chronicle, he signed a contract to play for the Canton Nadjys in the Tri-State League, receiving $100 in advance money and also signed a contract with that Kansas City Cowboys in the American Association, receiving a $300 advance. The California League ruled Borchers ineligible for the season. Whether his mother paid his way out of this or not is unknown, but the charges against Borchers went away, and he spent the remainder of the 1889 baseball season pitching for a semi-pro team in Merced, California. He returned to the California League on March 23, 1890 when he pitched for Stockton in the season opener against the Haverlys at San Francisco’s Haight Street Grounds. Borchers and Stockton lost 11 to 5. His time in the league would be short. On May 11 Borchers, according to The Sacramento Bee arrived at the ballpark in Stockton, on horseback and “extremely drunk.” Catcher/Manager Mike DePangher sent Borchers home. Borchers instead went on a bender that ended the following evening in a Stockton restaurant where he was arrested for being drunk and disorderly. 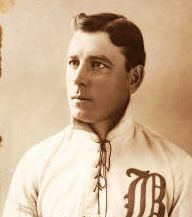 The San Francisco Call said Borchers was “a dismal disappointment” after he lost his first two starts for the second place Senators—both losses were against the league-leading San Francisco Haverlys. San Francisco Manager Mike Finn filed a protest with the league, claiming Borchers should be declared ineligible because he was still on the reserve list of the Spokane club. 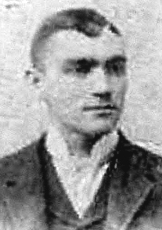 The 21-year-old finished the 1890 season with a 2-2 record for the second place Senators; San Francisco won the championship. At the end of the season the California League upheld Finn’s protest over Borchers and fined Sacramento $500. The rest of the George Borchers story on Wednesday. “In the first place, what a manager must avoid is the engagement of players is the habit of indulging in intoxicating liquors. Such men are demoralizing agents in any team in which they allowed to play, as the experience of 1879, especially in the League arena, fully proved. Not only is a drunken professional his own enemy, but his presence in a team is also necessarily destructive of its morals. In fact, temperate habits among professional ball players are more essential to success than is any special skill they may possess in playing their several positions; for a poor player who is a temperate man and earnest in his work is more serviceable than any man who is a fine player can be who is under the influence of drinking habits. “Secondly, quick-tempered, passionate men are unfit to be in a nine made up to play for the side. Hot temper is not only opposed to clear judgment, but it entirely prevents a man under its influence from playing for the side. Such men, when they ‘get their mad up’ at anything, do not hesitate a moment to indulge their spite at a brother player at the cost of even the loss of the match. “Thirdly, in making up a team for carrying out this policy, you must avoid putting players in it who have any ambitious views for preferment, such as a desire to be made captain of the nine or manager of the team. It is impossible for such men to play for the side. They are so busy in organizing cliques against the powers that be, and in maneuvering for the desired place, that they think of little else, and they play the game only with this one object in view. This has always been a cause of difficulty in teams in which there are two or more ex-captains or ex-managers. The player who has once tasted the fruit of authority is rarely amenable to control when occupying a subordinate position unless it be under some ruler whom he knows to be his superior as a captain or manager. Ex-captains or ex-managers might serve under Harry Wright, for instance, but they would be restive under the rule of a less experienced and capable man. “Fourthly, players who have an “itching palm’ should be avoided in the make-up of a team selected for carrying out the policy of playing for the side. Men of this class are always (on the alert) for opportunities to do a little outside business in a quiet way which will help to increase their pecuniary receipts of the season. But in 1891 Meekin was a 24-year-old pitcher in his third season with the St. Paul Apostles in the Western Association. 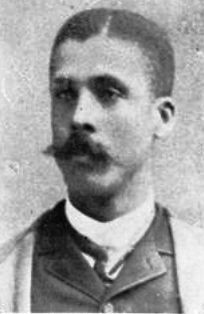 The New Albany, Indiana native became a well-known amateur player across the Ohio River in Louisville before signing his first professional contract with the Apostles in 1889. His sub .500 winning percentage was not enough to keep the American Association’s eighth place Louisville Colonels, from inducing Meekin to jump his contract with St. Paul. In June Meekin jumped; at the same time third baseman Harry Raymond jumped to Colonels from the Western League’s Lincoln Rustlers. 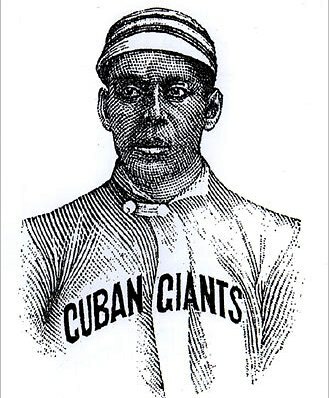 The move was applauded by the press and no less a figure than “the father of baseball,” Henry Chadwick, who called Raymond and Meekin part of a “venal cabal” of jumping players. Despite the promise that the order would “never be modified or revoked,” Young did just that. Within weeks of issuing the order, both players were reinstated. Raymond jumped back to Lincoln, taking Colonels’ pitcher Phillip “Red” Ehret with him to the Rustlers. 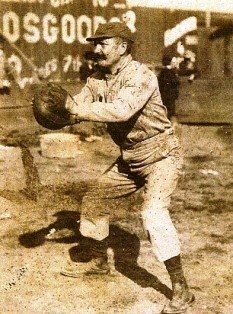 Meekin remained with Louisville and moved to the National League with the Colonels the following season. Meekin had a 10-year big league career as a result of Young’s reversal. From 1891-93, Meekin was 29-51 with Louisville and the Washington Senators and was traded to the Giants (along with Duke Farrell) before the 1894 season. He was 33-9, and fellow Indiana native Amos Rusie was 36-13, for the 2nd place Giants. Meekin had two complete game victories in the Giants four game sweep of the first-place Baltimore Orioles in the Temple Cup series (Rusie won the other two games). The New York Evening Journal called Meekin “Old Reliable,” and said, “He can push ‘em up to the plate in any old style, and is factor with the stick.” The pitcher hit .276 with 29 RBI in 183 at bats in 1894 (including hitting 3 triples in a game on July 4) and was a career .243 hitter. 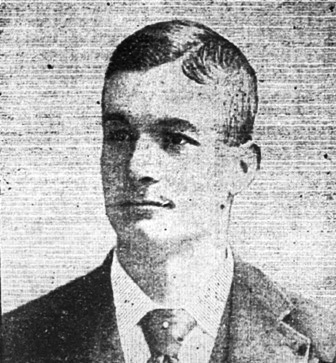 Meekin won 102 more games (including 26, and 20 win seasons in 1896 and ’97), but as O. P. Caylor said in The New York Herald he suffered from “a lack of control.” Meekin walked 1056 batters and struck out only 901 in more than 2600 innings, he also hit 89 batters; in 1898, he broke Hughie Jennings nose with a pitch. Rusie had injured his arm late in the season and sat out the next two years. Meekin and Gleason, despite Freedman’s promise, returned to the Giants for the 1899 season. The team finished in tenth place, and Meekin struggled with a 5-11 record. Meekin was 7-6 with a 2.83 ERA for Boston, but the team finished second to Brooklyn. He was released by Boston before the 1900 season and pitched just two games with the Pittsburgh Pirates before being released again in July. 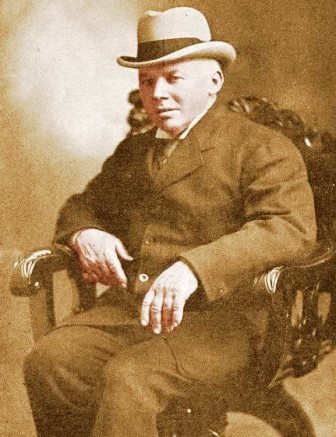 He finished the season with the Grand Rapids Furniture Makers in the Western Association and spent 1902 in the Southern Association with the Memphis Egyptians. Meekin slipped into relative obscurity by the time he died in 1944. The original picture that appeared with this post–now below–was misidentified as Jouett Meekin in this blog and by The Louisville courier-Journal in 1897. According to Mark Fimoff co-chair SABR Pictorial History Committee, the picture was actually Lave Cross. Lave Cross–picture earlier misidentified as Jouett Meekin.